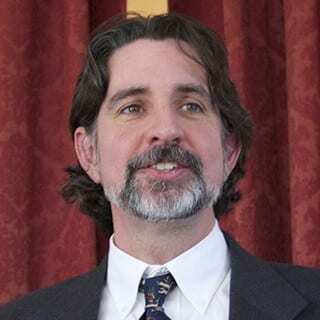 Reverend Dr. Adam Tierney-Eliot has been the Pastor of Eliot Church since 2003. Previously he served two churches simultaneously in northwestern Maine. Adam holds a Bachelor of Arts degree from the University of Maine and a Master of Divinity degree from Meadville/Lombard Theological School in Chicago. He also recently received his Doctor of Ministry degree with a focus on Preaching from Chicago Theological Seminary. Active in both the denomination and the community, Adam currently serves on the boards of the Unitarian Universalist Christian Fellowship (UUCF) and the Council of Christian Churches in the UUA (CXCUUA). He is also on the board of Metropolitan Congregations Acting for Hope (MICAH), an interfaith social justice organization addressing economic issues in the MetroWest region. Adam is in Full Fellowship with the Unitarian Universalist Association and has Dual-Standing with the United Church of Christ. He lives in the parsonage with his wife Allison and their three sons. To learn more about Adam and his ministry, please take a look at his web page and his web log, Burbania Posts.